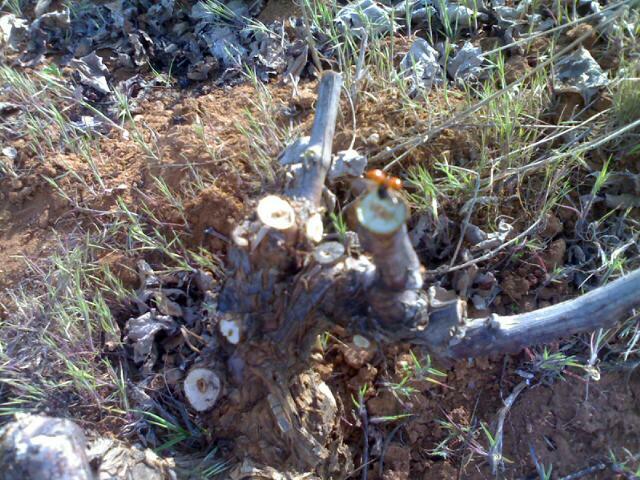 Yet more pruning today in the 'new' vineyard in Villarejo. New in the sense that that this is only the second year that we've been caring for it. 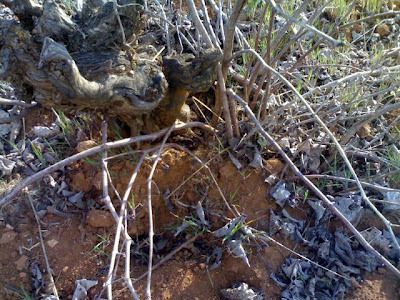 The vines are actually about 20 years old (Malvar variety). 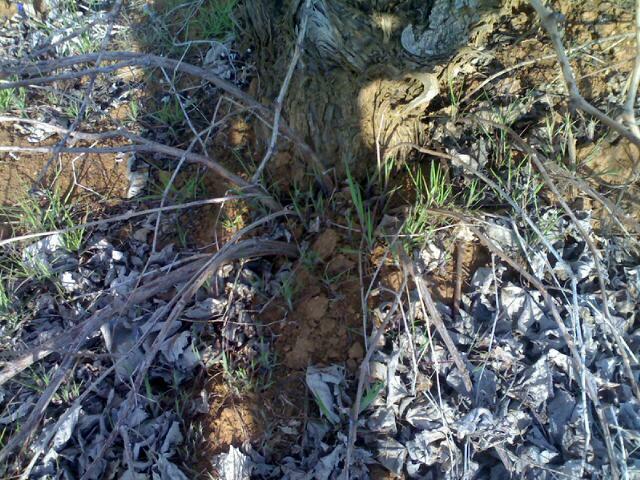 It's really slow going, as just about every vine has wild shoots growing out of the trunk from under ground level. I remembered to take some photos this time! 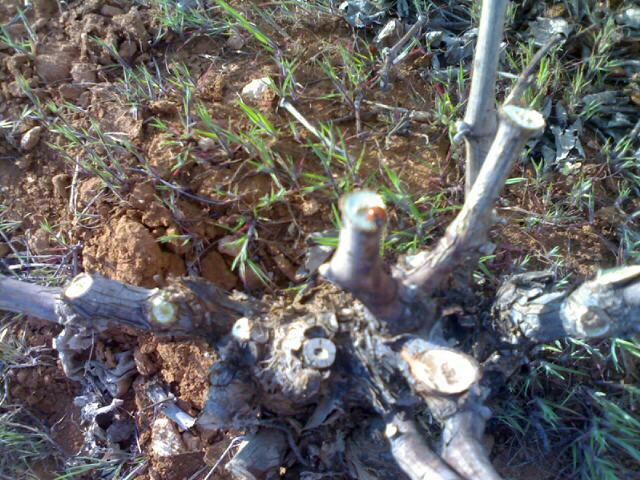 ﻿ This means that I have to dig down and expose the point where the shoots grow out the trunk and then cut them off. They're usually about 20 to 30 cm deep under ground level. It takes about 10 - 15 mins per vine. 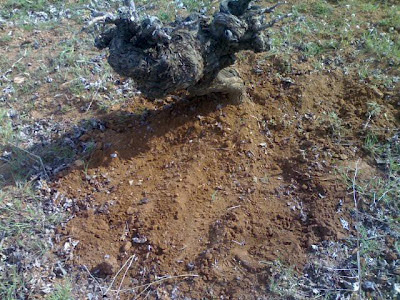 I only managed to prune about 40 vines today. 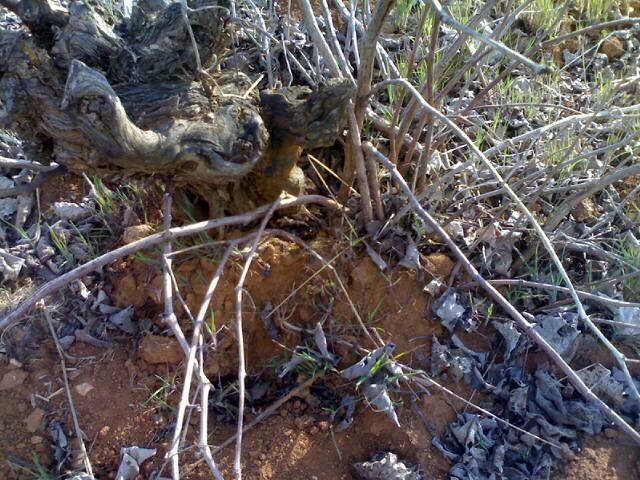 I think the vines are running a bit late this year. The buds are only just starting to show the first signs of swelling, and absolutely none have opened. This photo is quite amazing. I caught it right at the moment of take-off! If only I had a higher quality mobile! 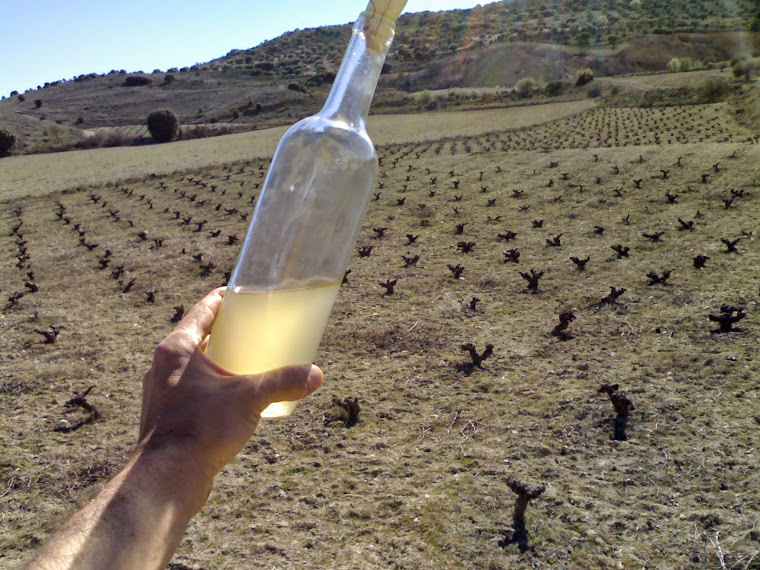 Nice blog and thanks for sharing these photos ! Thanks, Adam, I'm glad you like it :) Any questions, feel free to ask.